The 2017 ELECTRI_CITY_CONFERENCE takes place on FRIDAY 27TH and SATURDAY 28TH OCTOBER in Düsseldorf. Headlining the weekend will be ANNE CLARK and ROBERT GÖRL, while additional live performances come from STRÖME, ARCTIC SUNRISE, ELECTRONIC CIRCUS and KATJA VON KASSEL. There will be also talks by Jonathan Barnbrook on ‘Designing Bowie’ and Ebehard Kranemann on the work of Conny Plank, while The Electricity Club’s Chi Ming Lai will be chairing a panel discussion with Zeus B Held and Chris Payne. Other speakers include KRAFTWERK academic Dr Uwe Schütte, CULT WITH NO NAME’s Erik Stein, Bodo Staiger of RHEINGOLD and EBM pioneer Tommi Stumpff. In addition, there will be a special showing of the film ‘Blue Velvet Revisted’ plus a presentation by British musical equipment manufacturer Novation Music. 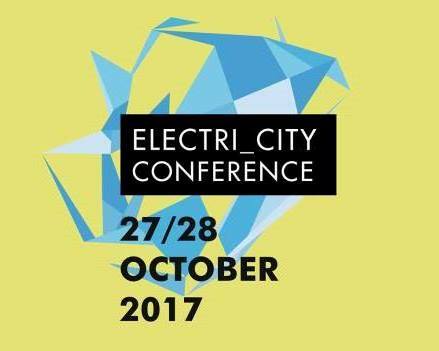 Artists who have previously performed at the ELECTRI_CITY_CONFERENCE include HEAVEN 17, MICHAEL ROTHER, JOHN FOXX, STEVE D’AGOSTINO WRANGLER, TINY MAGNETIC PETS, VILE ELECTRODES, METROLAND, RUSTY EGAN, MARSHEAUX, CULT WITH NO NAME, JIMI TENOR, JORI HULKKONEN and ERIC RANDOM while speakers have included Daniel Miller, Andy McCluskey, Peter Hook and Mark Reeder. First published in German in 2015, Rudi Esch’s book ‘ELECTRI_CITY – Elektronische Musik Aus Düsseldorf’ gave a fascinating insider’s account of the Germany’s influential post-war music scene which was centred around the city of Düsseldorf. 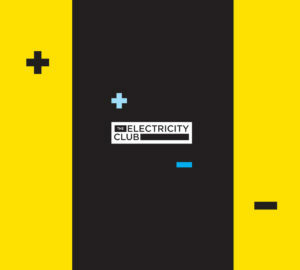 The original book has spawned an English language edition ‘ELECTRI_CITY – The Düsseldorf School of Electronic Music’, two ‘ELECTRI_CITY’ compilation albums released on Grönland Records and an annual music conference which in 2017 will enter its third year.